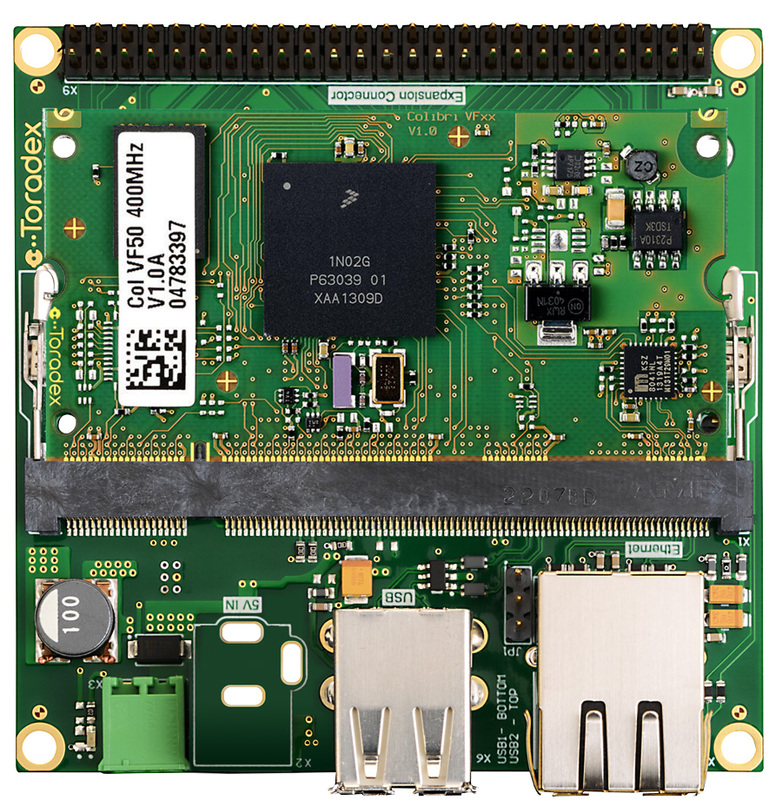 30th June 2014: Toradex – a world leading provider of embedded computing solutions based on ARM® CPUs – today announced Viola, a new open-source concept for ultra-low cost customized single-board computers. Combined with Colibri VF50 CoM, a Freescale® Vybrid™-based Computer-on-Module, a Viola based single-board computer starts at 39€ for 1K units (49€ single unit price) and offers a very interesting set of functions for numerous embedded applications. The Toradex customized single-board computer (Colibri VF50 & Viola) is available for a price of € 49.00 (single order) and € 39.00 (bulk order > 1000 pcs). The Viola carrier board is also available on the Toradex web shop for a price of € 16.00 (single order) and € 13.00 (bulk order > 1000 pcs). The pin-compatible Colibri ARM®embedded Computer-on-Module product family is based on the NVIDIA® Tegra™ series, Freescale® Vybrid™ and i.MX6 series and Intel®/Marvell® XScale™ series of SoCs. The Colibri family delivers cost and performance optimized designs. Small form factor Colibri modules encapsulate complex hardware and software technology for fast and easy embedded product development.